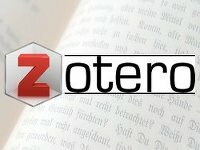 Zotero is a free, open source browser app that collects, manages, cites, and shares your research sources. It lives right in your web browser, and has a similar design to the iTunes library. The Departments at Willamette University use a variety of citation style guides. This guide links to examples of in-text citations (within the paper) and bibliography/reference lists (at the end of the paper) of the most commonly used citation styles at Willamette. Printed style guides are in the Citation Style Guide Collection by the reference desk in the Hatfield Library. For medical & health disciplines. For social & life sciences (e.g. psychology, anthropology, medicine). For humanities and more (e.g. literature, history, arts, anthropology). For biology & general sciences. This can be used as a general resource when citing information found on the Internet when other citation styles do not include examples. For languages (e.g. English, Spanish, German).